I entered this talk (to my shame) largely ignorant of the work of Andrew O’Hagan. However as I often discover ignorance can also mean no pre conceived ideas or expectations, which in turn can lead to wonderful surprises. This was certainly my experience of Andrew O’Hagan in conversation with Rosie Boycott. These two clearly go back a long way and consequently the tone of the interview was relaxed and informed as Rosie interviewed him about his latest novel ‘The Illuminations’ and so much more besides. O’Hagan is a journalist by trade and consequently his novels are largely informed by journalism. ‘The Illuminations’ is very much about the effects of the war in Afghanistan on one particular soldier; something O’Hagan knows much about having spent time with soldiers in Kabul. Interesting conversation emerged about the lack of literature that has come out of the conflicts the UK has been involved in for the last 25 years compared to the wealth of stories, essays and novels that draw on World War I and II as inspiration. O’Hagan made that point that “we are living in under described times” . He is clearly bemused by this listing recent events such as the recent vote on Scottish Indepedence as providing enough material to keep novelists going for years. 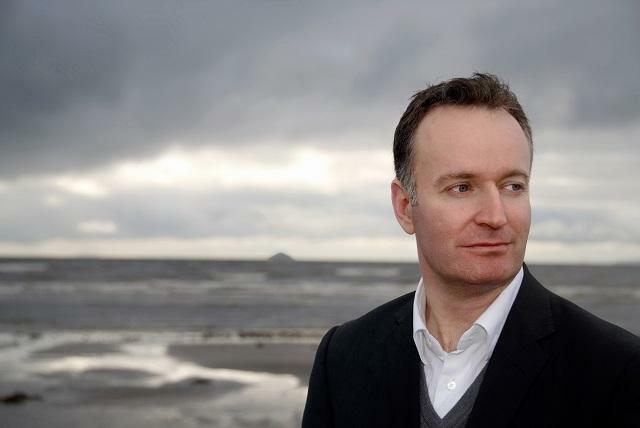 I could have listened to Andrew O’Hagan much longer than the allocated hour, he was interesting and engaging and hearing him read a particularly tense scene from his novel was for me the highlight as I suspect it was for much of the audience. I stole a moment to glance around and saw an audience listening in open-mouthed rapt attention. I came away from my first event of the festival feeling full of hope and joy, and surely there can be no better way to leave a first event than that. During an interview full of passion and warmth, Magnus talked to Sarah Crompton about the charity he so clearly loves. In 1992 largely fuelled by a fascination following many reported appearances of the virgin Mary to teenagers In Bosnia, Magnus and his brother took a trip there. This was at a time when the country was at war and at the height of its troubles. On returning home, immensely moved by what he had seen, he decided he must do something. He launched a small appeal for food and clothing. The appeal proved fruitful so that he gathered all he had collected into a Landrover and drove it to Bosnia. Over the next 10 years, requests for similar help came in and he responded in any way he could. 10 years after leaving Bosnia Magnus visited Malawi. There he met Edward, a 14 year old boy whose mother was dying. Magnus was deeply moved by Edward who told him his only hope for life was to go to school and have enough to eat. From that single conversation Mary’s Meals was born. The vision of Mary’s Meals is that all children should be able to eat one meal a day in a place of education. Working together with partner organisations and primarily local people in some of the poorest countries in the world, Mary’s Meals is contributing towards this becoming a reality. In Malawi alone, 770 thousand children are fed daily, and for the cost of just £12.20 a child can be fed for an entire year. Magnus’ talk was full of similar startling statistics I struggled to get these down on paper so keen was I to listen to what he said. Not that this was difficult; Magnus was exceptionally easy to listen to because he had so many important things to say. Magnus talked freely of his Christian faith and the influence it has on the work he does. He also spoke of changes he has seen in his own life due to the goodness he’s witnessed in so many willing to give of themselves to help others. On this landmark week for the charity when they have now fed over 1 million children he also described the pain he continues to feel at not being able to respond more to the immense need he knows is still out there. Magnus described Mary’s Meals as ‘lots of little acts of love’. I would describe it as an example of how ordinary people can achieve extraordinary things. Every penny made from the sale of ‘The Shed That Fed a Million People’ goes to supporting Mary’s Meals.